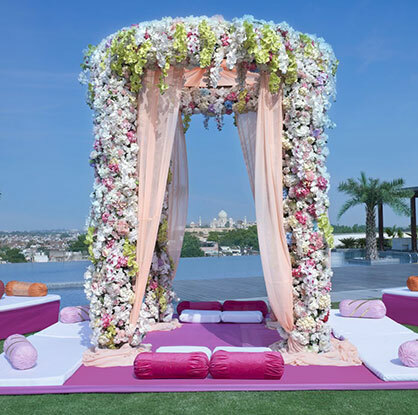 A destination wedding in Agra surely sounds to be wonderous and grand at the same time with a unique charm than any palatial destination wedding in India. However, the wedding might not be celebrated in the Taj Mahal or its surrounding premises, as any private function/event is not allowed in or around its premises. But still couples could still take their wedding vows having the magical monument in the background. We have tried to add a touch of royal love while planning weddings in Agra. The city’s gem ‘Taj Mahal” symbolizes the everlasting love that underlines the deep bond of a relationship. 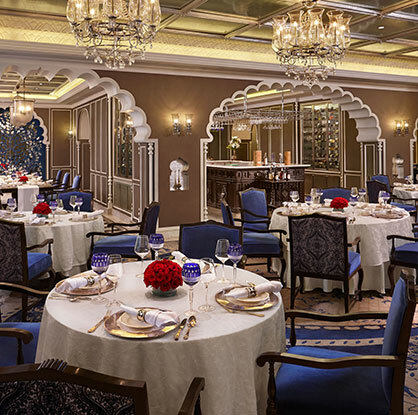 There are heritage venues, wedding venues, and Palace Weddings, get the state-of-the-art amenities and panoramic view of The Taj Mahal that makes a wedding in Agra most beautiful.